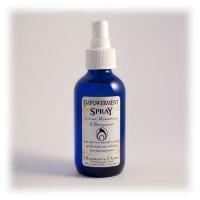 The Shamans Dawn line of energy clearing sprays is hand blended and shamanically blessed with healing energy and intention. The sprays draw upon the powers and energies of the plant spirits within them to clear and balance the energy of a space or person's energy field to facilitate peace and healing. The sprays can be used as a room spray to shift the energy or can be sprayed while fanning the mist over yourself or another person to clear the aura or energetic field. Soothe and calm energies with this lavender blend. Makes an excellent pillow spray to help restful sleep. Use to soothe and calm the energies of a space or as a bed linen spray to aid with peaceful sleep. Can be sprayed over a persons energy field to help them relax. Also very helpful to spray before going to bed to increase dream recall, and heal disturbing dreams. Revitalize the senses and step into self empowerment with this citrus blend. An excellent addition to morning spiritual practices. Use to re-energize, awaken, and be in touch with personal power. A great spray to use after a healing session to revitalize and ground. Makes a wonderful addition to early morning routines to wake up and feel alive. This spray is also very helpful in placing individuals in touch with their personal power and promoting confidence. Improve mental focus and sharpen the mind with this minty blend. Also helpful in relieving headaches and lifting depression. To sharpen the mind, improve concentration, and aid memory. This spray will really "wake you up" to life. Excellent for clearing mental clutter and it also relieves headaches. It is also good for lifting the energy of depression. Promote physical healing and disperse the energies of illness with this herbaceous blend. An excellent clearing spray for massage therapists and healing arts practitioners between clients. Use to facilitate healing or to prepare a space for healing work. Can be used to clear out the energy of illness in a sick room or misted over the personal energy field to promote healing energy and disperse dis- ease. Also makes an excellent spray for healing arts practitioners to use on their hands to clear off energy between clients. Cleanse your energetic field with the scent of this Peruvian sacred wood. 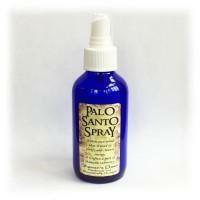 Also makes a wonderful purifying spray for your crystals and sacred objects. Cultivate prosperity with this warm and spicy blend. Excellent for house warming and welcoming blessings into our home. Encircle yourself with protection with this earthy blend. Excellent to use before entering an overwhelming environment or for people that feel extra sensitive to the energies of others. Clear your home, work space, or auric field with this blend of white sage and other purifying herbs. Smudge without the smoke- great for work or public spaces. Enter into meditative or sacred space with this aromatic blend. A beautiful offering to the divine beings.